To stay safe in the sun, you need a sunscreen you can trust. To deliver long-lasting durability. To withstand water. To provide not only reliable UVB protection but also the best UVA protection. P20 gives you all this – fully documented – in a lightweight formulation that’s easy to apply and wear. The result is uncompromising protection that lets you and your family enjoy the sun more responsibly. Your face is the most important part of your body – and the most susceptible to damaging sun exposure. P20 FACE comes in a light cream formulation developed specifically for your face and can protect you against UV-related skin damage and premature aging. Care for your whole family in the sun with P20’s broad-spectrum UV protection. 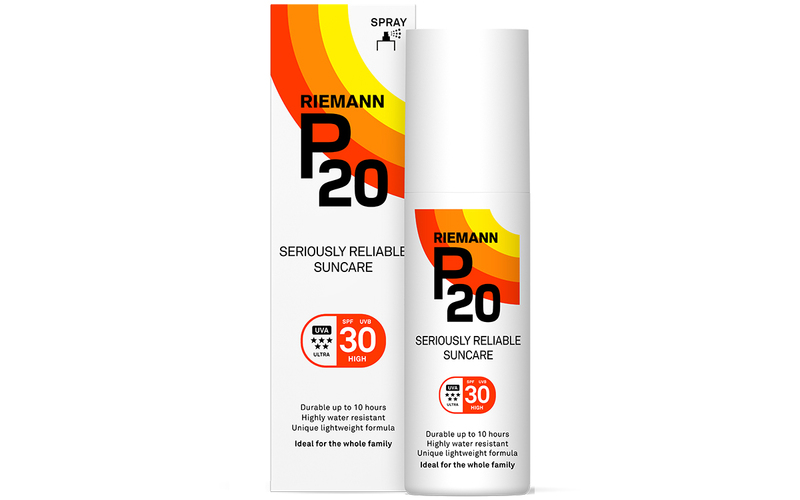 P20 products offer UVB protection as well as very high UVA protection that shields the skin from sun-related damage and premature aging. The UVA protection in P20 far exceeds EU recommendations, and is therefore rated 5 out of 5 stars*. P20 has a unique lightweight transparent formula that’s easily absorbed into the skin. It dries quickly to provide durable protection with no visible trace in just 15 minutes, meaning your family will be ready to get up and go in no time. Furthermore, the range is free from fragrances and colorants, making it the perfect sun protection solution for the whole family. And if you’re packing P20 for an overseas holiday, the family can stay safe at the beach or in and out of the pool, as the product maintains its water-resistant protection levels even after 4 x 20 minutes in the water**. This means fewer reapplications for the whole family. **Europe’s highest ranking in water resistance for sun care products.